Every year we come up with a rundown of 50 gifts to suit petrolheads of all ages, with prices to suit all budgets. We’ve got ideas from £1.90 up to £12,500, with everything from video games to sweets and from books to driving experiences. If you’re on a tight budget, we also have 10 gift idea for less than £20 – or if you have no budget limitations at all there’s a list of 10 dream gifts for petrolheads. We’re also running a huge competition over advent, with a prize for every single day from December 1 to 24 – with one lucky winner taking the whole bundle. Click here to find out more about our competition. Lego knows that children never grow out of building bricks – so there’s a whole range of sets for more mature customers. 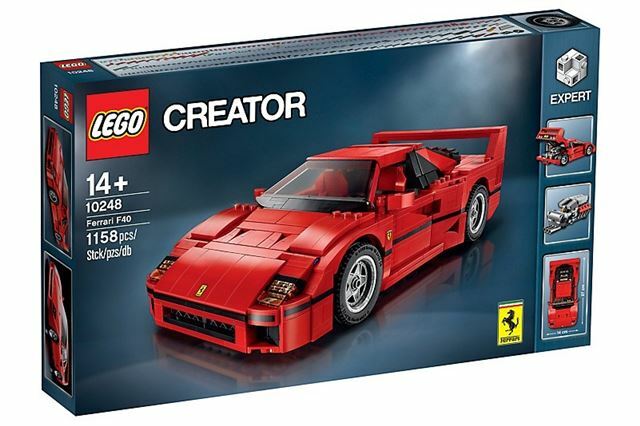 Initially we thought about featuring a Technics Porsche 911, but at £250 we decided that was a bit steep, so instead here’s the £70 F40. With 1158 pieces it should fill plenty of the boring week between Christmas and New Year. It features authentic details including an openable rear hatch, complete with the twin-turbo V8 hidden underneath. It has a few unique parts, including wheel inserts specific to this set.